I am used to share with you all my fashion related preferences, sales and great places to shop (especially online). In today's post I'm doing a review of Italist.com my latest discovery, a great Online Shopping Destination Of Luxury Brands if you are into that. If you are not, you will soon be addicted because at Italist.com the prices are the lowest compared to anywhere else I am used to do my shopping (Italian retail price) in terms of high-end brands like Gucci, Prada, Miu Miu, Vivetta, Jimmy Choo and much more. My first purchase from their website is this Gucci leather belt (desired for a long time). I also love (and hope to get it soon) this one Here on red and gold. Of course, my wish list it's not ending here, and these Gucci flora flats, this Fendi bag, and Vivetta dress and top are (hopefully) next. I must admit that I love (I think we all do) to buy pieces labeled "Made in Italy" because these days it is pretty much the guarantee of quality. Instead of going shopping in Europe (8 hours flight for me) we shop directly from our couch in less than 10 minutes :)The fast shipping is another aspect that I am pleased with. About today's outfit all I want to mention is that almost all of my vintage dresses are predominantly in this design and most of the time I want to wear them with a belt. 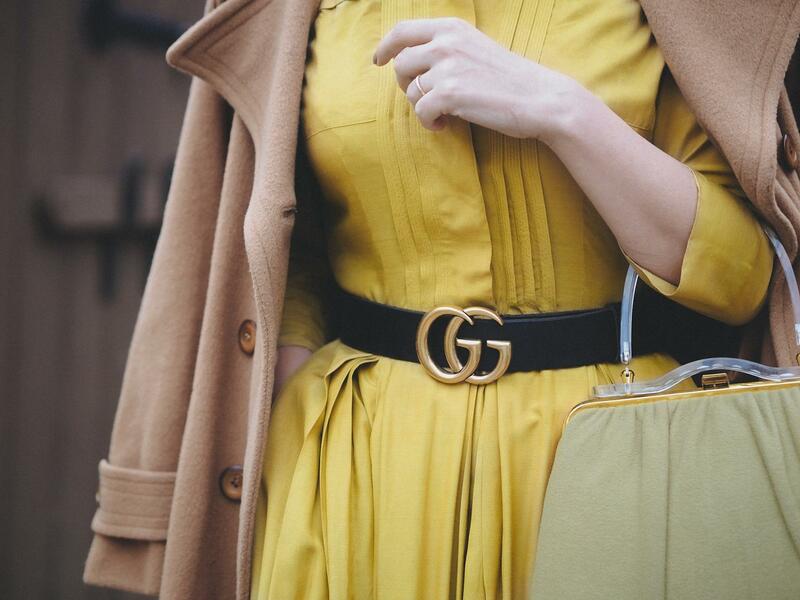 Now I can do that with this classic Gucci belt that works perfectly with each and every one of my dresses, and with jeans and skirts as well. Little details matters and this is an example of how you can elevate a look from 5 to 10 only by adding the perfect touch such as a quality pair of shoes, a bold bag or a timeless belt. These are accessories that I personally like to invest in. I guess you ladies understand my excitement and how I love mixing high and low pieces in creating these looks. Since we are in the month of gifting, allow me to do some suggestions, 3 pieces (all on SALE right now) for you ladies, that I love. Gifts for us, because from time to time we deserve to spoil ourselves with some splurge shopping. - I will start with this Gucci bag Here (yes, I know I'm obsessing over everything that this brand creates). - A bright jewel tone Coat Here. - And those Jimmy Choo gray pumps (timeless style) that work with all the colors from your wardrobe. With these being said Happy Shopping ladies and I hope my Italist review will help you! P.S. I will love to hear which pieces from Italist.com are your favorites? 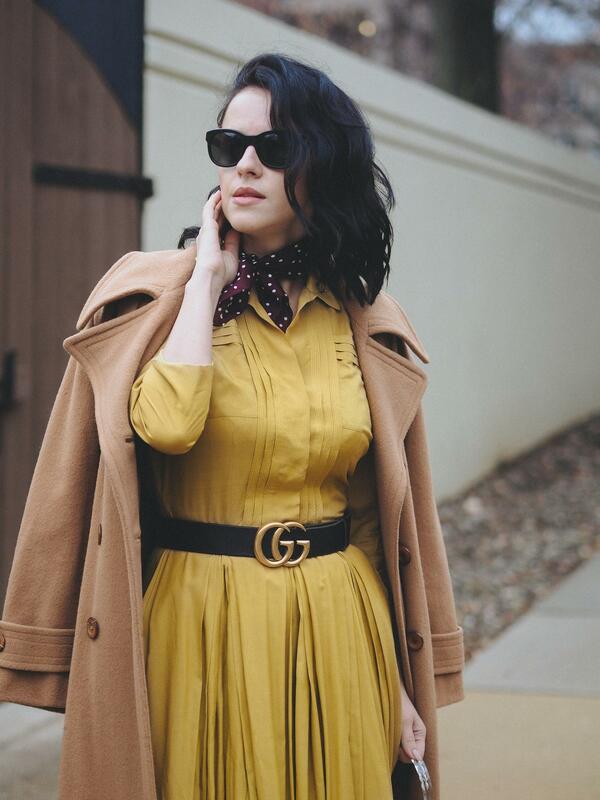 Oh yes, I need that belt in my life and your coat is a perfect camel coat, it’s such a classic piece!